The solar plexus chakra corresponds to one's feeling of self-empowerment. This is the centre where food represents power. Control or power, along with tendencies to be rigid with diet or eating habits or controlling what one eats. Feelings of resentment and anger when having to submit to dietary restrictions can surface. If there is healing work being done in this centre, it is recommended that the focus should be on choosing easily digestible foods such as soups, Kichadis, are soft and easy on your solar plexus region and related organs (liver, stomach, pancreas). Easier to digest foods may be more beneficial, rather than restricting the quantity. Nourishing your body with healthy and light foods is kinder than dieting and allows the body to balance weight better. Whole grains: oats, spelt, rice, rye, farro and teff are great for fire energy but need to be soaked first for easy digestion. Legumes: lentils, chickpeas and beans are a great addition to curries, dhals and soups. Dry are always better soaked with a piece of Seaweed (Kombu) overnight or at least four hours. 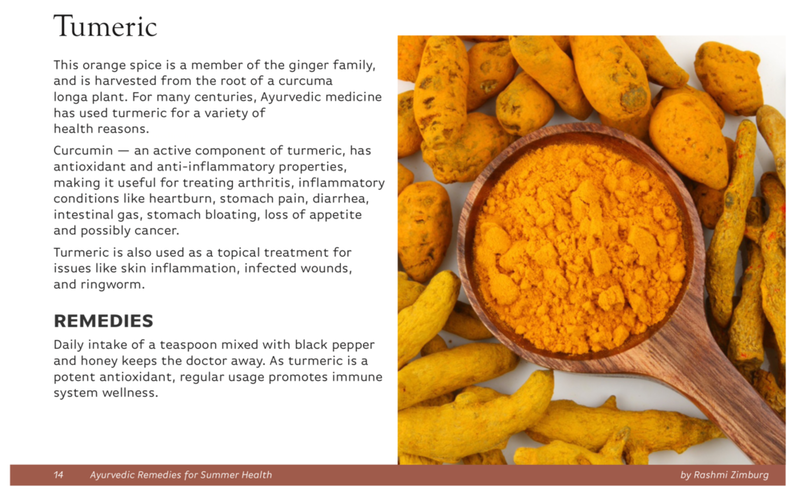 Spices/Herbs: turmeric, ginger, cumin and cinnamon are all heating yet still anti-inflammatory spices which make them perfect for nourishing the third chakra. 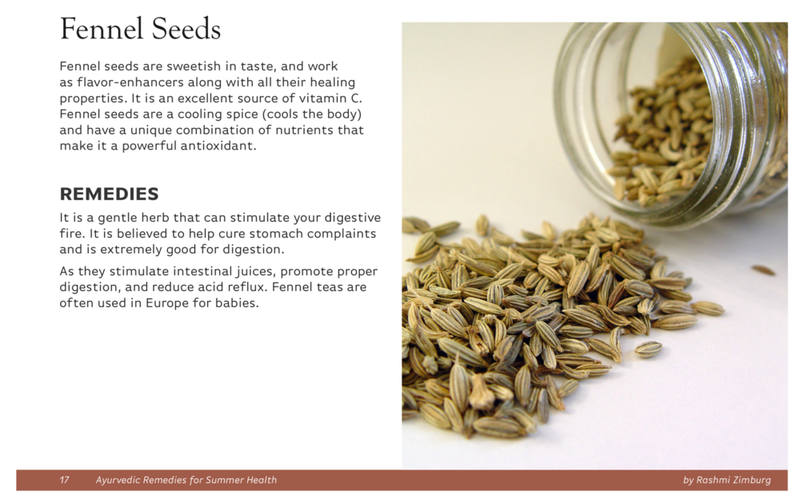 Herbs like Rosemary in food or as a tea and fennel root. Yellow foods: bananas, corn, pineapple, yellow capsicums, chamomile and lemons. Nurture with: grains like cereal, rice, flax seed, sunflower seeds and daily milk products like milk, cheese, yogurt. 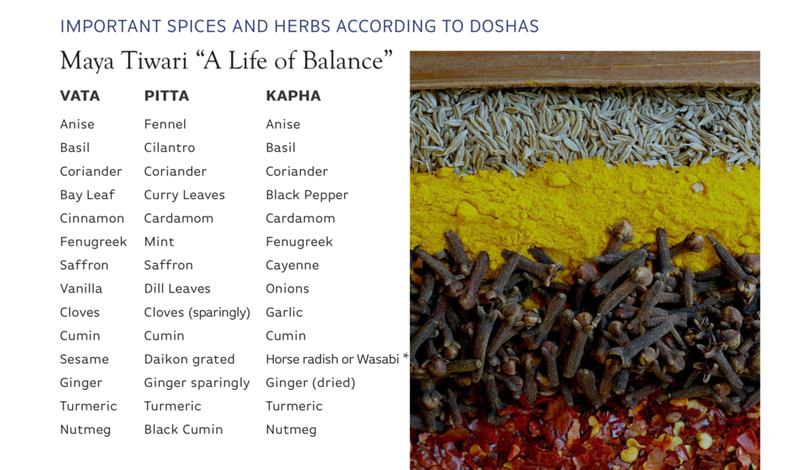 Ginger, mint, chamomile, turmeric, cumin, fennel also spice up the chakra. Instructions : Wash the rice in several changes of water and soak. Drain thoroughly. Pour the oil into a heavy, medium pan (that has a tight-fitting lid) and set over medium-high heat. When hot, add in the cinnamon and cardamom. Let sizzle for 10 seconds. Add the onions. Stir and fry the onions until brown. 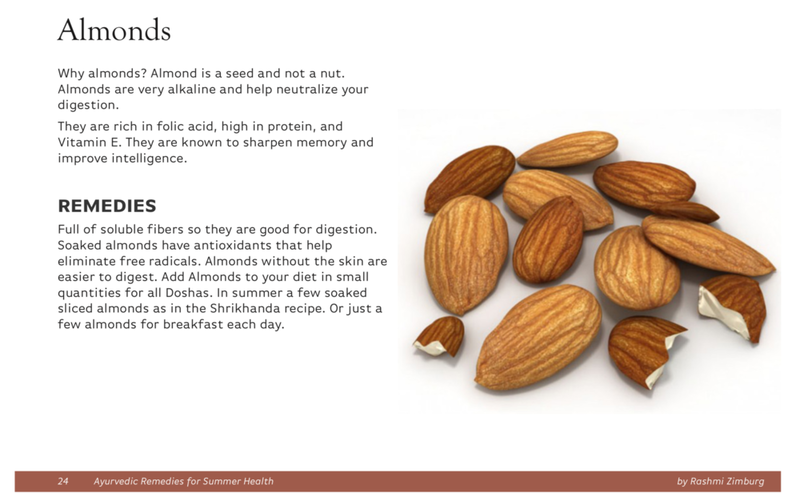 Add almonds. Stir golden. Add the raisins. Stir until they are plump, just a few seconds. Add the drained rice and salt. Stir very gently to mix. Bring to a rolling boil and Cover tightly, turn heat to very, very low, and simmer gently for 20 minutes. Soak the dal in water. Please wash the Daal a few times while its soaking to remove the bubbles. Skin the pumpkin and cut into small pieces. Heat the oil and fry the onions when browned add ginger and garlic and green chilies. Fry for two minutes. Add all the spices. Now stir in the pumpkin or squash, Daal and salt. Cover with enough water so the dal is covered with 1 cm of water. The best utensil is a pressure cooker but if you don’t have one, use a heavy bottomed pot. Cook for 15 minutes on medium heat then reduce the heat for 30 minutes. Temper the Dal with ghee heated in a small butter warmer and the red chili. Garnish with fresh coriander. Instructions :Preheat the oven to 180 degrees. Halve the peppers, remove the seeds. Spray with a bit of olive oil and bake for 10 minutes. Turn them over and cook another 10 minutes until they're soft. Set aside. Prepare the Tofu/Paneer stuffing. Heat 2 tbsp. oil in a frying pan add 1 tsp. of the cumin seeds until they sputter in about ½ a minute, cook onions until soft and golden brown. Add ½ tsp. turmeric and green chili and half the grated ginger. Add the tomatoes now add 1 tsp. of the ground coriander cook for another couple of minutes and crumble the tofu and fold in with the spices. Add Salt and pepper. Simmer it all for about 3 minutes. Keep aside. Fold in half the coriander leaves. Potato Stuffing. Heat 2 tbsp. oil in a frying pan add 1/2 tsp. 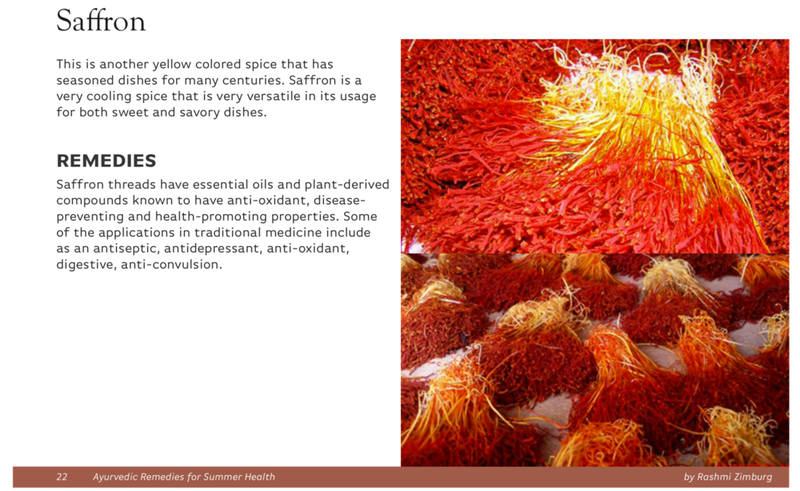 of the cumin seeds until they sputter in about ½ a minute, Add turmeric and green chili and the grated ginger, 1 tsp. of the ground coriander, cumin and dried mango powder. Add the diced potatoes cook for a few minutes and fold in with the spices. Add Salt and pepper. Simmer it all for about 3 minutes. Keep aside. Fill the baked pepper halves with the tofu and potato stuffing. Set your oven on grill and on a cookie sheet place the stuffed peppers and cook until lightly browned. Maybe 5 minutes. Garnish with fresh coriander and serve as a side with a Grilled Fish or as a main for lunch with a green salad. High in fiber and selenium, which is hard to find in many food sources. Corn is considered a rich source of beta-carotene that generates healthy amounts of vitamin A in your body. Shuck the corn add to a heavy pot add water and butter and cook for fifteen minutes covered. Once cooked, using a hand held blender pureé the corn mixture until nice and creamy. Garnish with mint leaves chopped or torn. Bananas are rich in heart healthy Potassium and B6 vitamins, energy giving carbohydrate and rank low to medium in glycemic index. Preheat oven to 180°C/320°F. Grease and line 2 standard loaf tins. In a small bowl whisk the non-dairy milk with the flaxseeds. Sift together the flour with baking powder, baking soda and cinnamon. In a food processor puree the bananas. Add sugar and the almond butter, vegan butter and oil. Add flaxseed mixture and thoroughly combine. Transfer mixture into prepared loaf tins. Top with extra banana slices. Bake for 35-45 minutes, or until the centre of loaf is springy to touch. Cool on a wire rack for at least 5 minutes before removing from tin. This chakra is fed by finding your passion and following your heart. Since this chakra is located near your heart, it is the bridge between the lower three chakras and upper three chakras. And links body and mind together. Think green and vibrant, nutrient-rich vegetables, especially leafy and cruciferous ones like kale, lettuces, spinach, chard, pakchoy, choysum, collard greens, brussel sprouts, cabbage and broccoli, all work to revitalise and heal this chakra. Artichokes, asparagus, celery, cucumbers, green capsicums (peppers), leeks, winter melon, bitter melon, okra, watercress, green beans, zucchinis, snow peas, and green peas are great additions. Herbs like parsley, coriander, shallots, basil, sage, oregano, rosemary, thyme, spirulina, chlorella, moringa, seaweed, and fennel and cardamom. Olives, capers, extra virgin olive oil – cold pressed, hemp oil, barley greens, pepitas, pistachio nuts, green lentils, chlorella, aloevera, wheatgrass, all forms of sprouts. These foods are full of calcium, magnesium, iodine, selenium, sulphur, essential fatty acids, B group vitamins and vitamin C – all great for heart health, cleansing of the blood, and general circulation. In Chinese medicine green veggies are neither yin nor yang, so they maintain the equilibrium that is essential to the health of this chakra. Ayurvedic practitioners all prescribe a daily dose of greens because they build immunity, remove “Ama” or toxic wastes from the body. As the body is composed of more than 60% water, leafy greens help purify the subtle channels of the body and replenish you inner hydration storage. Green water-based alkalising fruits and vegetables such as limes, green apples, avocados, honeydew melons, kiwi fruit, green grapes, and green pears also help balance your heart chakra allow you to be more conscious and contemplative. Green tea will help keep your heart chakra healthy. Incorporate some of these “heart foods” into your diet, and begin to LOVE the difference. Blend all of the ingredients together. Add a few drops of coconut oil and a dash of lemon juice for easy absorption. Use a food processor to finely chop the arugula and garlic. Add the nuts and process for about a minute until the mixture appears moist. While the processor is on, slowly drizzle 2/3 of the olive oil and then the lemon juice. Add salt and pepper to taste. Add the remaining olive oil to keep for about four to five days. Heat a large pot over medium heat. Add olive oil, yellow onion, garlic, ginger and stir. Cook for 5 minutes, stirring occasionally. Add carrots, parsnip, green cabbage, Brussel sprouts, bay leaves, salt and pepper. Cover with vegetable broth plus water and bring soup to a simmer. Reduce heat to low and cover, cook for 15 minutes until veggies are tender. (don’t cover so the vegetables retain their colour). Remove the bay leaves. Adjust seasoning to taste. Put a large pot of water on to boil. Meanwhile, whisk tahini, vinegar, soy sauce, water and Mirin in a large bowl. Cook spinach in the boiling water until it just turns bright green, 15 to 30 seconds for baby spinach, 45 seconds to 1 minute for mature spinach. Drain in a colander and rinse with cold water. Press or squeeze to remove excess water. Add the spinach to the dressing and toss to coat. Garnish with the roasted sesame oil, sesame seeds spinach stems and panko crumbs for a crunchy texture if desired. Grate the zucchinis and place the shreds in a colander. Place the dry zucchini in a bowl, and add the chopped kale, peas, egg, almond milk, flour, spices, salt and pepper. Stir to combine. Heat the oil in a skillet over medium high heat. Place about 2 tablespoons of batter into the hot pan. Cook each side for about 2-3 minutes, or until golden brown. Place the cooked fritters on paper towel while you cook the additional fritters. Blitz the cauliflower and broccoli separately in a food processor, until it resembles rice grains. Fry on low heat for a few minutes, until golden brown. Chop the lemongrass on an angle, the finer the better and julienne the red pepper. Fry both until starting to brown and add to a large mixing bowl. Add the raw red onion.Toast the nuts and seeds in a dry frying pan, on low heat. Combine all the ingredients in the large bowl, and stir. In a blender, combine all the dressing ingredients. Dress the salad mixture and serve on the lettuce leaves, with a wedge of lime and fresh herbs. Place all ingredients in a blender and pulse into smooth. Adjust milk for a thicker or thinner consistency. Refrigerate to further set and then serve. Optional: top with chopped nuts, cacao nibs, berries. Throat Chakra or our fifth chakra is connected to expression and communication. Food in this centre represents joy. To understand this connection, it is important to see how guilt of over-eating and wasting calories would rob one of joy! And cravings would best be satisfied with a variety in food and hence bring joy. Foods that are exotic or unusual, spicy and flavourful dishes are pleasing to the senses. 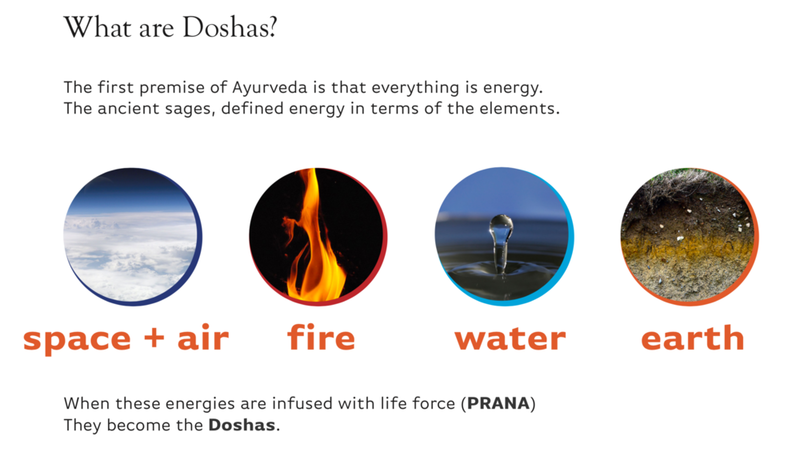 Involvement in focusing on the ingredients and preparation of the meal is a way to heal this chakra. Healing Foods for this chakra are soothing liquids or blue in colour. Liquids in general: Drench and quench your throat with fluids, clean water, coconut water, fruit juices and herbal teas, all drinks and concoctions that nourish the throat and thyroid. Spices: lemon grass, tarragon, mint, red clover blossoms, sage, salt. Tart or tangy fruits: lemons, limes, grapefruit, kiwis. Other tree growing fruits: apples, pears, plums, peaches, apricots, etc. Any blue foods: blueberries and blackberries are particularly good sources of fibre antioxidants, and vitamins. Foods that benefit the lungs or that soothe the throat or voice. Soups, rich in fibre and minerals containing vegetables and strong broths. Foods that are rich in iodine that would support the thyroid function are also recommended. For example, Sea vegetables: Kombu, Hijiki, Nori and Dulse. Chewing is the cornerstone of your throat chakra and digestive health. CHEW consciously and deliberately at least 20 times a bite. Ayurveda suggests that savouring a meal in silence and with attention and awareness helps this chewing process and improves digestion. Barley's fibre, potassium, folate, and vitamin B6 content, coupled with its lack of cholesterol, all support a healthy heart. In a heavy bottomed pot add the oil. Add the cumin seeds and as they sputter, sauté the onion, garlic and celery until browned. Now add water and bring to a boil. As the water boils add barley and cook for about 15 minutes then add the diced vegetables and dried herbs and spices. Cover for another 30 minutes. As the soup cooks, check for consistency, if it is too thick add more water. Finally season with salt and pepper, garnish with parsley and serve. Poppy Seeds contain a considerable amount of linoleic acid, an omega-6 fatty acid that offers protection against heart disease. Support bone maintenance and development as these seeds contain both iron and phosphorus. milk/soda water, extra, for brushing. Begin by making the balsamic reduction. Stir the balsamic vinegar and brown sugar together in a small saucepan and place over medium-low heat. Simmer, stirring a few times until the mixture resembles a chocolate syrup about 15 -20 minutes. Remove from heat and allow it to cool. Blend the oats into a coarse powder in the food processor. Add the beans, beets, onion, garlic, dill, salt, pepper, to the food processor.Pulse until the ingredients are finely chopped and well combined. Test the mixture and adjust the seasonings. Lightly oil a medium skillet and place it over medium heat. Shape the beet mixture into 6 patties and arrange as many as you can in the skillet without overcrowding. Cook the patties for about 4 minutes on each side, until lightly browned. Drizzle 1-2 teaspoons of the balsamic reduction over each patty. Flip and drizzle the opposite sides. Flip again and cook for a few seconds before removing the patties from the skillet. Cut into Wedges and roast in the oven at 180 degrees. Until golden brown. Preheat oven to 180 degrees. In a food processor, combine flour, sugar, salt, and butter; process until large moist crumbs form. Spoon dough into individual tart pans. Press the dough into the tart pan and up the sides until firmly packed. Freeze for about 15 minutes. Prick bottom of dough all over with a fork. Bake blind for 10-12 minutes. Bring 1/4 cup water and 1 cup of berries to a boil over high heat. Reduce heat and simmer. Stir occasionally, until berries start to break down slightly (3-4 minutes). In a small bowl, mix flour and almond flour with 5 tablespoons water. Stir into berry mixture. Add lemon zest and juice, sugar, and salt. Bring to a boil, then reduce heat. Simmer and stir for 30 to 60 seconds, or until the mixture starts to thicken. Remove from heat and stir in remaining fresh berries. Immediately pour hot berry mixture into cooled tart shell. Reserve a little berry mixture so you can go back and “pile” the tarts a bit higher once the filling has set slightly. Serve with a dollop of Greek yogurt mixed with vanilla sugar. Prunes help digestive function, as they are high in fibre, potassium and a good source of iron. In Austria these blue fruits are called Zwetchken and are often a delicious summer cake or tart. Soak the prunes in white wine overnight.The next morning, drain the wine into a pot, add the spices and bring to a boil on low heat. Add the prunes in and add more wine so the prunes are covered in the liquid. Keep cool in the refrigerator. Garnish as you please. Keeps for a week.